Showing results by publisher "Meredith O'Reilly"
After waking up in a room she doesn't recognize, 20-year-old college student Lilly Parkins discovers that she has been placed in a secret government program for adult women who would benefit from living under the care of a firm but loving daddy. 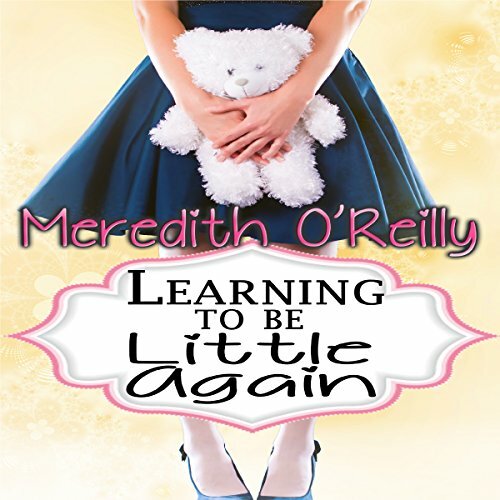 Having been orphaned years ago, Lilly has grown accustomed to depending only on herself, and she is none too pleased by this arrangement, but when she meets her new daddy, Charles Davidson, she cannot help being impressed. When 25-year-old Samantha Briggs invites her best friend Juliana over for a sleepover, Juliana's daddy drops her off at Samantha's house with stern instructions to be a good girl and obey Samantha's daddy. The evening is filled with coloring, cartoons, baking cookies, and giggling, and when it's time for bed, Samantha and Juliana decide they aren't done having fun. But after they're caught jumping on the bed late at night, they soon find their bottoms bared for a sound spanking, as they are reminded what happens to naughty girls who disobey their daddies. 29-year-old lawyer Marcus Bradberry has fantasized for years about finding a firm-handed man who would not hesitate to provide both guidance and discipline while also bringing him the kind of fulfillment he’s only dreamed about. When he meets Dimitri Anderson, the owner of a local kink club, Marcus takes a chance and shares the wildest fantasy he’s ever had with him. Marcus is shocked when Dimitri takes it upon himself to bring this fantasy to life.